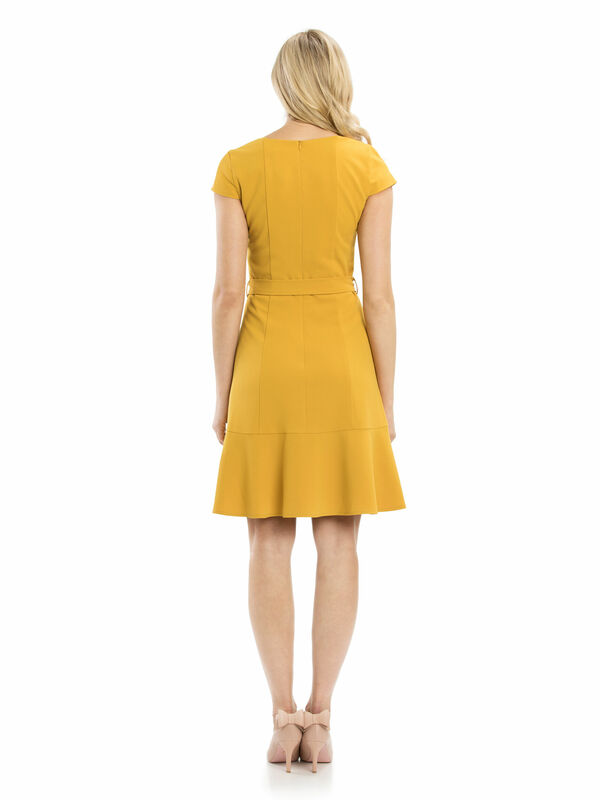 Monnie Dress https://www.review-australia.com/global/monnie-dress-mustard/RE19DR346.REYEL015.html The Monnie Dress is set to be your ultimate work to party power dress ? making you feel as fabulous as you look. The structured yet feminine dress is made from a clean stretch crepe fabrication with a fitted bodice and fitted trumpet hem skirt. The cap sleeve dress features a sweetheart neckline and a feature belt tie detail at the waist in a polka dot fabric. The Monnie Dress is set to be your ultimate work to party power dress ? making you feel as fabulous as you look. The structured yet feminine dress is made from a clean stretch crepe fabrication with a fitted bodice and fitted trumpet hem skirt. The cap sleeve dress features a sweetheart neckline and a feature belt tie detail at the waist in a polka dot fabric.